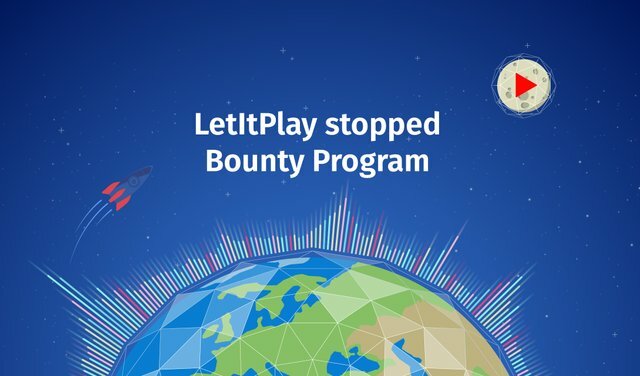 As you know we have launched a Bounty program to make Letitplay more recognizable over the world. And after a six week period our Bounty campaign has come to an end. We want to remind you that 15 of June is the last day of LetItPlay Bounty program, as well as the last day of receiving your reports in Bounty thread on Bitcointalk. Please be careful, plan your time in advance. When is the deadline for submission of reports? Reports received later than 15 of June 23:00 UTC will not be considered. Also, on this day, we will close the opportunity to comment on the branch and start counting your reward. How long will it take to count? The calculation will be made at least for the next week (18.06 - 24.06), in special cases we may need more time. The results of the calculation will be published in Google sheets in the appropriate columns, as well as in the Bounty thread on Bitcointalk. Please stay tuned for updates. Thank you, friends! In the meantime, we want to say thank you very much, we are very glad that you believed in us and supported us on our way! Do you have plans to create an ios 10.3.3 version? Is not it too restrictive to only support 11 versions?